An integer overflow or wraparound occurs when an integer value is incremented to a value that is too large to store in the associated representation. When this occurs, the value may wrap to become a very small or negative number. While this may be intended behavior in circumstances that rely on wrapping, it can have security consequences if the wrap is unexpected. This is especially the case if the integer overflow can be triggered using user-supplied inputs. This becomes security-critical when the result is used to control looping, make a security decision, or determine the offset or size in behaviors such as memory allocation, copying, concatenation, etc. This weakness can sometimes trigger buffer overflows which can be used to execute arbitrary code. This is usually outside the scope of a program&apos;s implicit security policy. Sometimes, evidence of this weakness can be detected using dynamic tools and techniques that interact with the software using large test suites with many diverse inputs, such as fuzz testing (fuzzing), robustness testing, and fault injection. The software&apos;s operation may slow down, but it should not become unstable, crash, or generate incorrect results. Use unsigned integers where possible. This makes it easier to perform sanity checks for integer overflows. When signed integers are required, ensure that the range check includes minimum values as well as maximum values. Integer overflows can be primary to buffer overflows. In this example the method determineFirstQuarterRevenue is used to determine the first quarter revenue for an accounting/business application. The method retrieves the monthly sales totals for the first three months of the year, calculates the first quarter sales totals from the monthly sales totals, calculates the first quarter revenue based on the first quarter sales, and finally saves the first quarter revenue results to the database. CVE-2002-0391 : Integer overflow via a large number of arguments. CVE-2002-0639 : Integer overflow in OpenSSH as listed in the demonstrative examples. CVE-2005-1141 : Image with large width and height leads to integer overflow. CVE-2005-0102 : Length value of -1 leads to allocation of 0 bytes and resultant heap overflow. 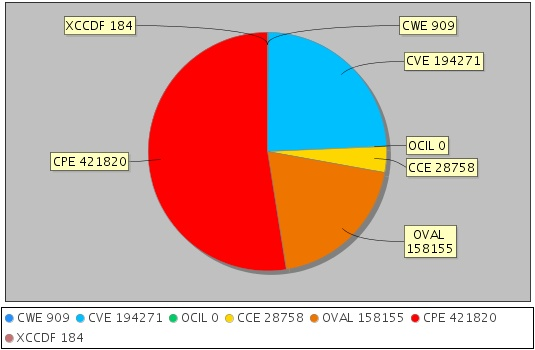 CVE-2004-2013 : Length value of -1 leads to allocation of 0 bytes and resultant heap overflow. Yves Younan .An overview of common programming security vulnerabilities and possible solutions. Student thesis section 5.4.3. Published on August 2003.
blexim .Basic Integer Overflows. Phrack - Issue 60, Chapter 10. M. Howard D. LeBlanc .Writing Secure Code 2nd Edition. Microsoft. Section:'Chapter 20, "Integer Overflows" Page 620'. Published on 2002. Michael Howard David LeBlanc John Viega .24 Deadly Sins of Software Security. McGraw-Hill. Section:'"Sin 7: Integer Overflows." Page 119'. Published on 2010. David LeBlanc Niels Dekker .SafeInt. Johannes Ullrich .Top 25 Series - Rank 17 - Integer Overflow Or Wraparound. SANS Software Security Institute. 2010-03-18. Mark Dowd John McDonald Justin Schuh .The Art of Software Security Assessment 1st Edition. Addison Wesley. Section:'Chapter 6, "Signed Integer Boundaries", Page 220.'. Published on 2006.